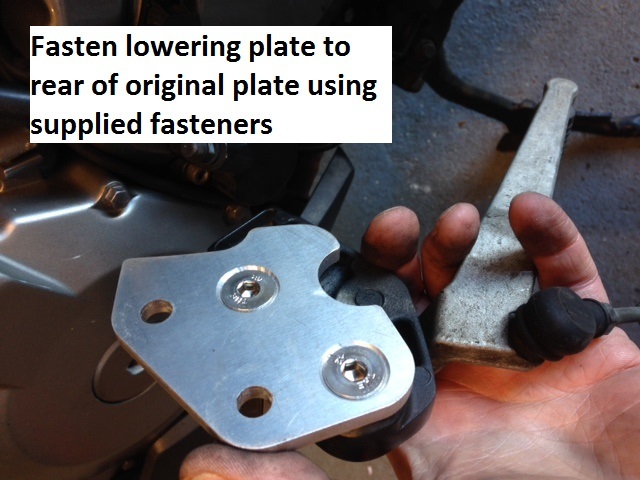 This is a lowering kit which moves the foot pegs of the V Strom down about 25mm and slightly forward by about 5mm. 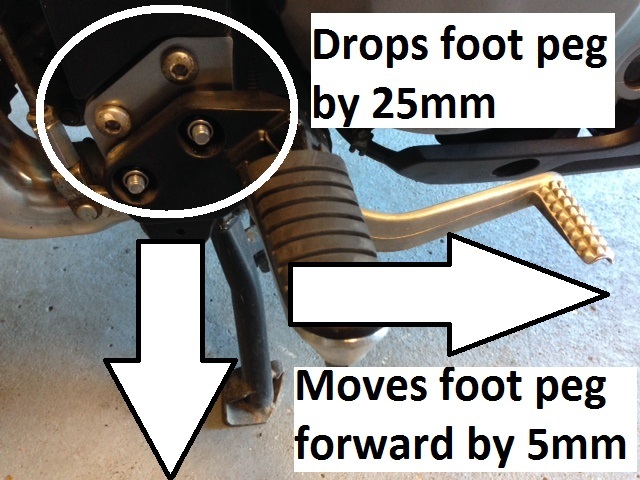 This results in a more relaxed and comfortable ride as the legs are in a slightly less bent position. The kit consists of two 6mm thick laser profiled and machined plates and all the fasteners needed to make the conversion. All fasteners are stainless steel. The plates woud be powder coated in black satin finish to match your frame - in the images they are shown silver for clarity. 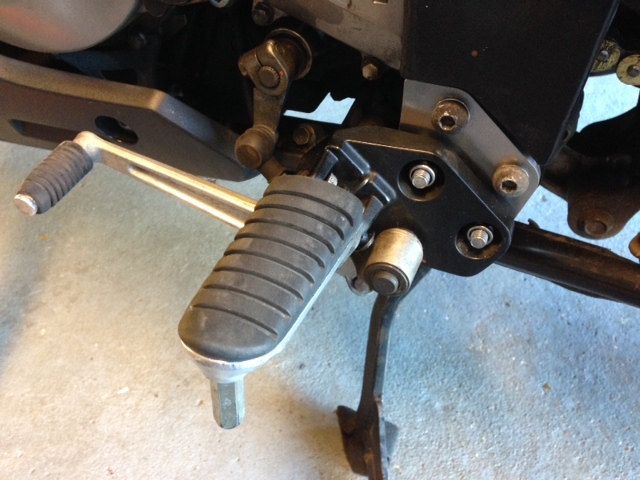 The gear lever is adjustable to accommodate the change of foot peg position and the fasteners provided allow you to lower the linkage on the rear brake so that the brake lever still feels like its in the original position. Comes with good, clear instructions. Really good set, had no problems with installation, my only suggestion is to use shorter (about 5mm) bolt to join original plate with extension one. Other than that, very happy with purchase, big improvement.